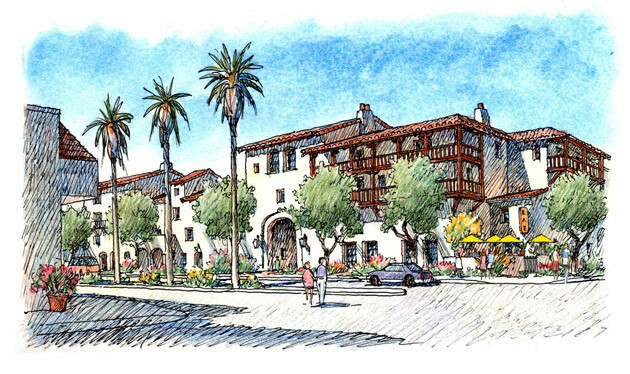 The Cordoba is located north of downtown Santa Ana on a one-acre site in the City’s Cultural District, between the Bowers Museum and The Wooden Floor/Saint Joseph Ballet. 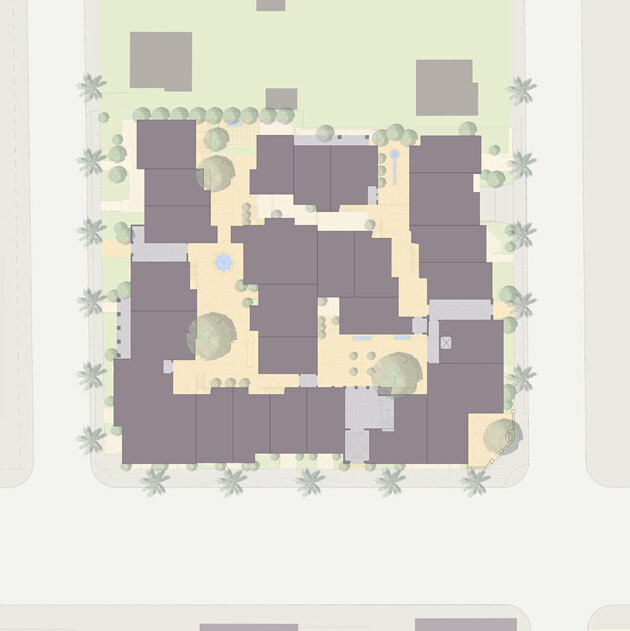 The mixed-use project consists of 45 units of housing configured around four unique courtyards. 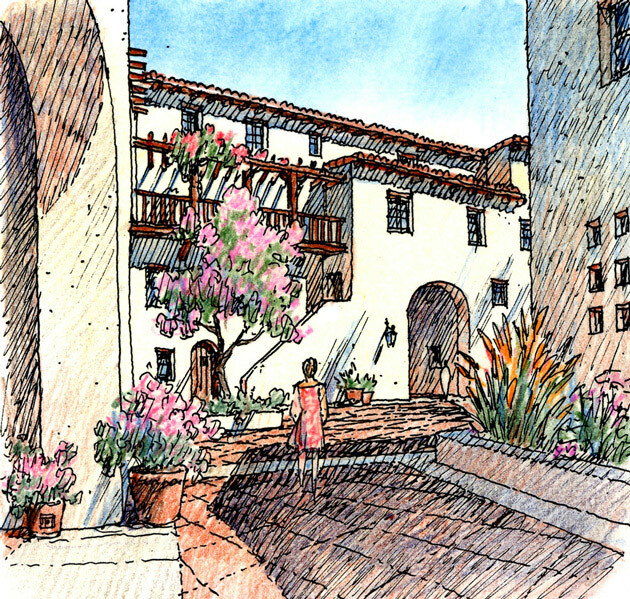 Each courtyard varies in orientation, size and relationship to building massing, landscape and finishes. The massing along Main Street ranges from three to four stories. This defines a strong urban edge before transitioning to two-story house-like forms adjacent to existing single-family homes just west of the site. Housing typologies in the taller buildings as well as in the traditional courtyard housing include a mixture of lofts, townhouses and stacked flats.